The is my neighbourhood neko, it’s very tamed. I call it Neko Neighbourhood-Protector-and-Destroyer-of-Worlds. OK since we are on the topic of Neko, I shall give one simple tip how to get the correct nekomimi look. The most basic but very important rule no.1 is that when wearing a nekomimi, one must cover her own human ears with her hair. The reason is rather simple, one will look freaking silly with 2 pair of ears right? Common sense isn’t it? A bad example is shown below in the form of Misaki from “Kaichou wa Maid-sama! Manga. Her human ears are clearly visible. However, I’m glad that the TV amine producer corrected it in the anime version. Here’s a Singaporean nekomoimi I 100% approve of. 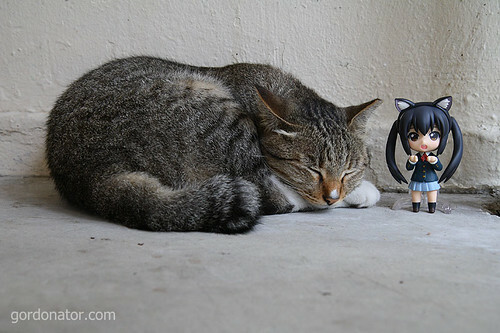 This entry was posted in Figures, Neko, Otaku. Bookmark the permalink. Ha Ha! I got watch Kaichou Wa Maid Sama!!! 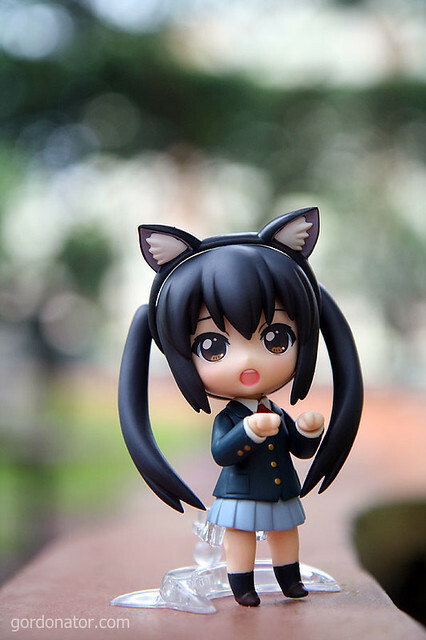 I can’t wait to get the Azunyan nendo! just missing the classroom set that i ordered…. Singapore Cat brought me here!